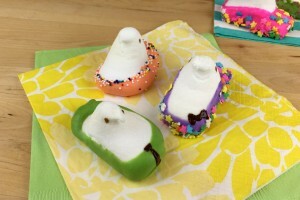 Are you ready for the easiest (yummiest) Easter basket treat ever?! I needed something that was cute, wouldn’t break easy (mailing in packages), could feed an army, and last a few days without losing it’s flavor. This is what I came up with and only takes about 10 minutes to put together. 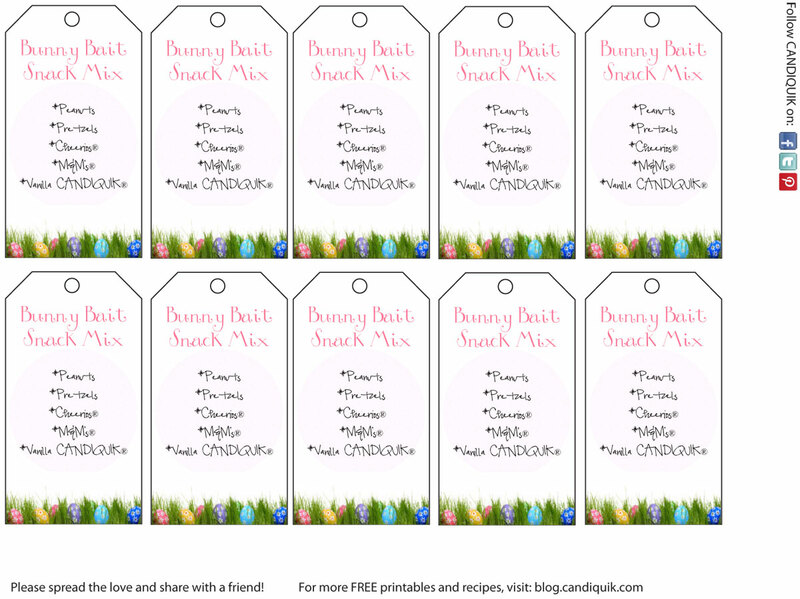 Longer if you’re coming up with cute tags to attach to your “bunny bait”, but don’t worry, I’ve got you covered. 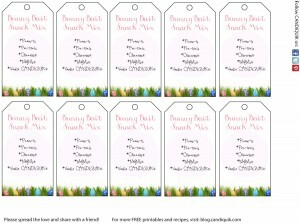 You can find the printable tags below! 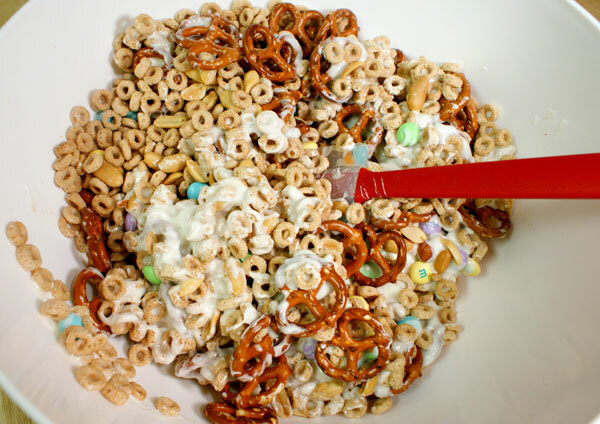 Throw everything together in a giant bowl. Melt CandiQuik and pour over the mixture. I used a spatula to fold together until the mixture was evenly coated. Spread mixture out onto a large piece of wax paper (I used two pieces of wax paper, side by side). This prevents you from having one ginormous piece of Cheerio Crispy Treat. 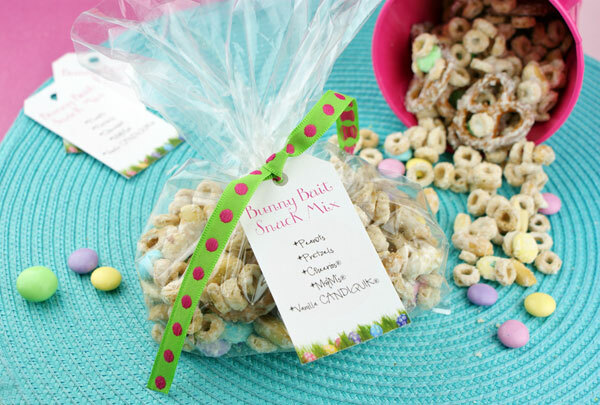 Once the mixture is completely dry (5-10 minutes), scoop into cute little treat bags, tie off with a ribbon, and add a treat tag! Voila. 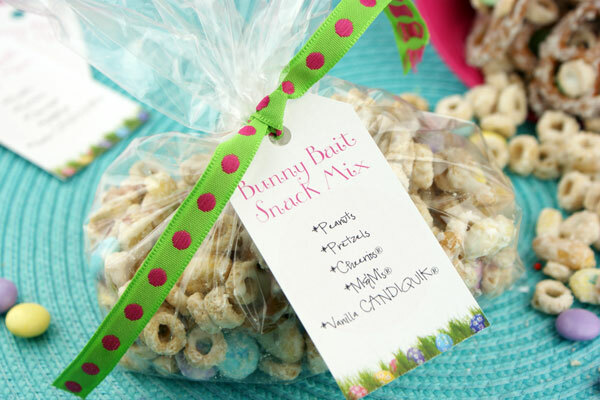 Bunny Bait Snack Mix is the perfect snack mix for Easter baskets or any occasion! 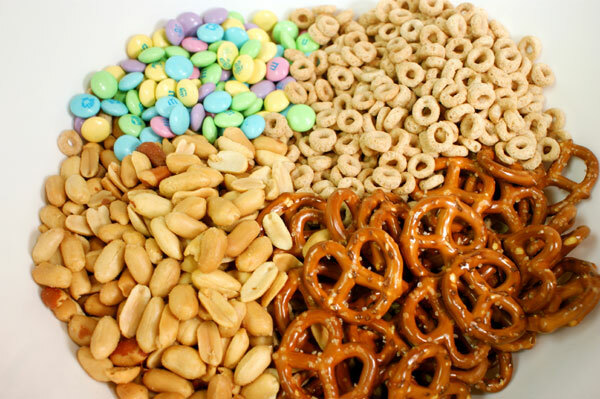 Combine cereal, peanuts, M&M’s and pretzels in a large bowl. Melt CandiQuik in tray according to package directions. 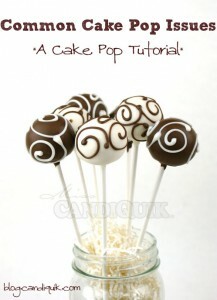 Pour CandiQuik into the mixture; using a spatula, fold into the mixture until evenly coated. 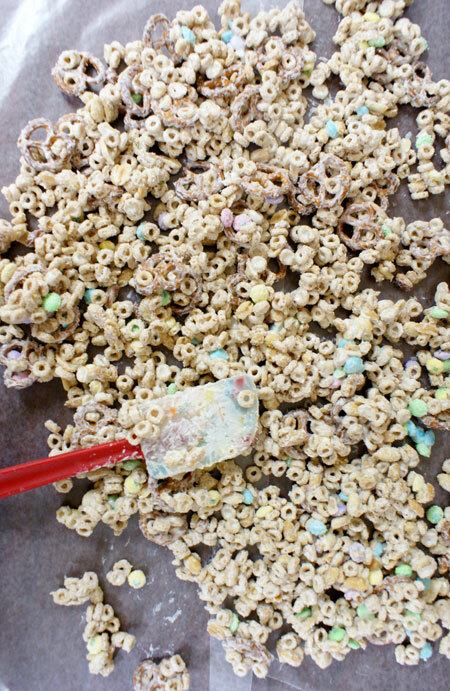 Spread mixture out onto a large sheet of wax paper; let dry. 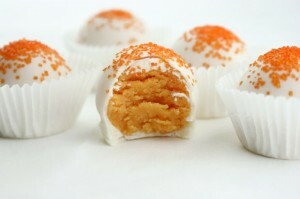 Once dry, scoop into treat bags or keep sealed in an airtight container. I love candied popcorn! So fun! Thanks so much for joining me at Two-Cup Tuesday at Pint Sized Baker. I hope to see ya again tomorrow night. 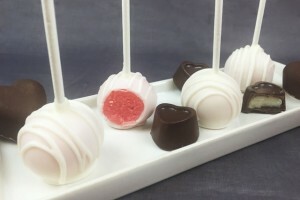 I love these easy to make delicious treats, thanks for sharing your bunny bait version. The printable tags are adorable. 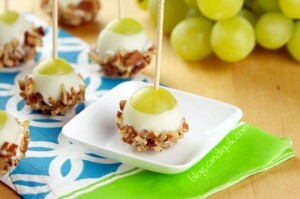 I think this would be one of the best snack for my kids!!! Thanks for sharing. easy and awesome thank you! 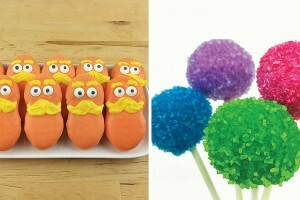 I am making this for my daughter’s class and there is a peanut allergy. What would you substitute? 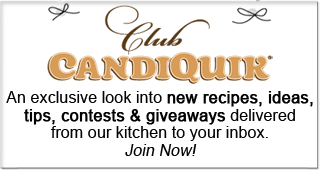 Hi Shannan- The beautiful part of these mix recipes, is you can really substitute whatever you like! As long as you keep the measurements close, the possibilities are nearly endless!